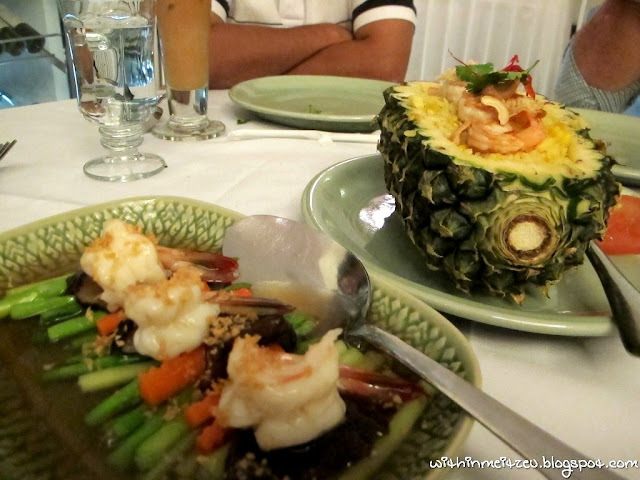 Sawadee Ka~ Unexpected Night with Celadon Royal Thai Cuisine, Pavilion KL. A night of Thai Cuisine for dinner that I never forget about at a city named K.L. 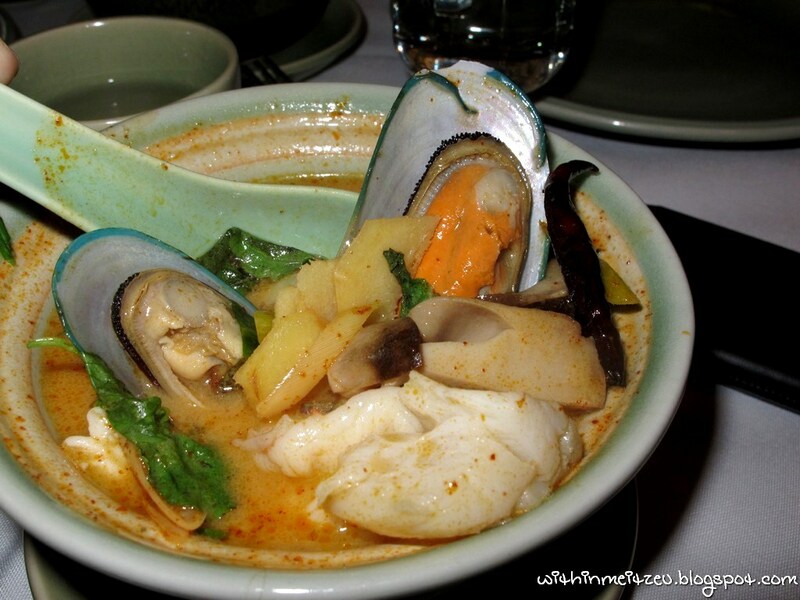 The Tom Yum, the appetizer... Those tasted heavenly with those spices flavouring blended in together. 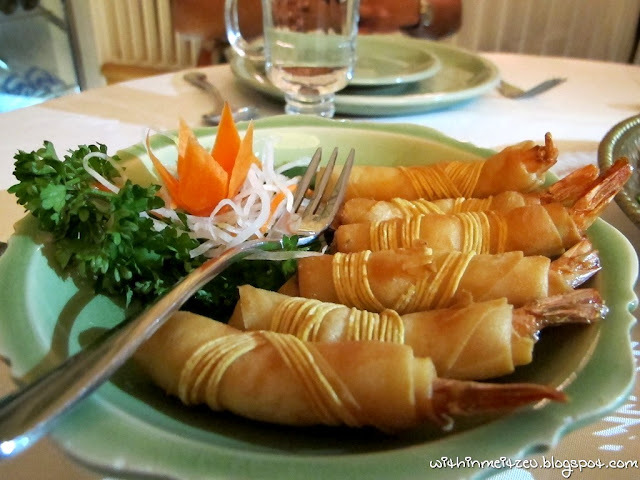 They introduced the best dishes ever! 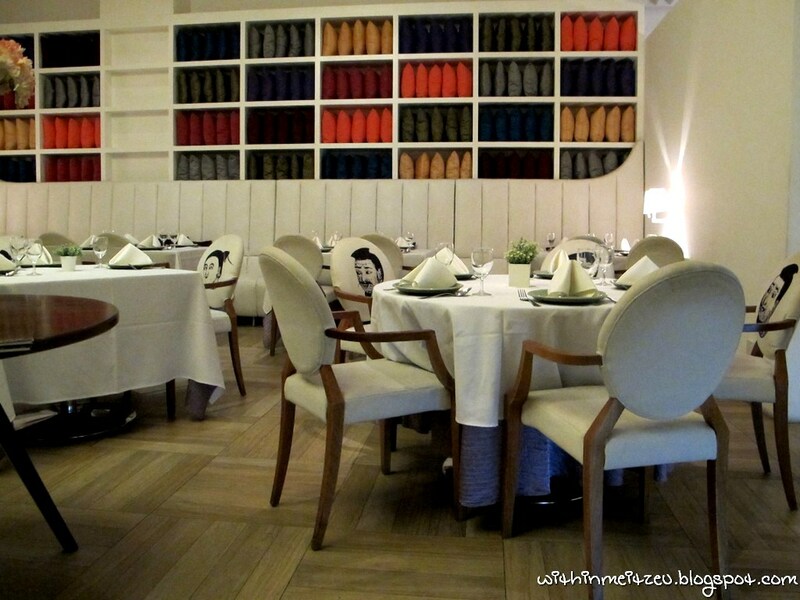 Well designed with a glimpse of modernised style, it is quite a nice place for dinner and feeling like a "royalty" while having dinner in the restaurant. Interesting Thai styled appetizer. 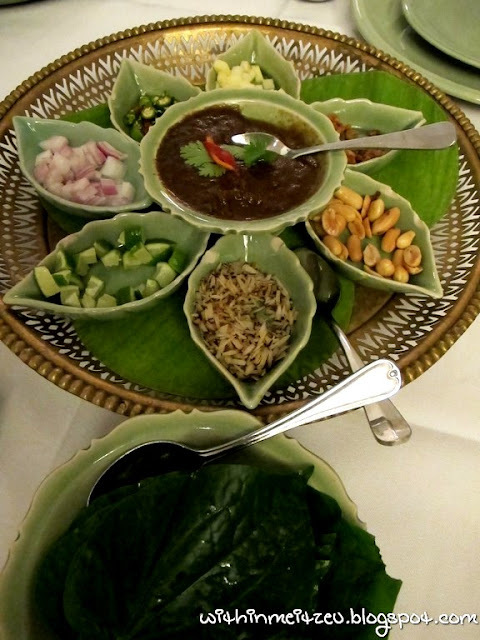 With all the raw and roasted ingredients such as lime, peanuts, onions and etc filled into the betel leaves (Daun Kado) prepared and adding the Thai sauces provided, its quite special and just nice! I ate few and I simply love it. Less spicy dish as a starter for the night. 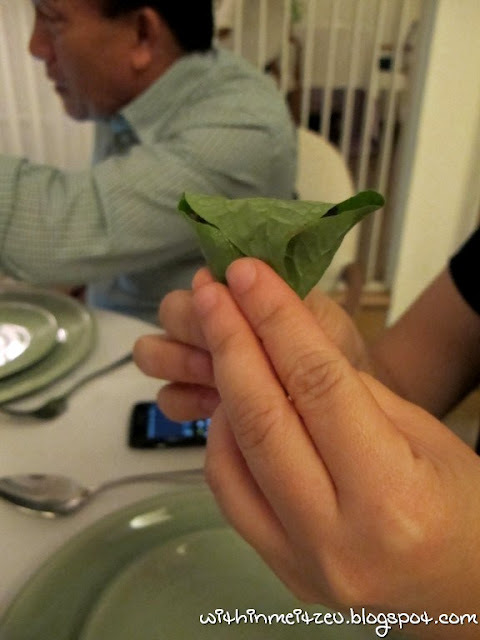 Stuffed all those ingredients in to the betel leaf which we requested the nice Sabahan waitress to teach us. I didn't tried this, it was ordered by Meatball's friend. I bet it taste good too! Awh~ I love this and I like the elephant figured pot too (same with my mom)! =D Refreshing taste of lemon grass flavour, quite smooth to drink with. Besides, perfect drink to soothes the HOT flavoured Thai Cuisine after having them. I totally love this one! 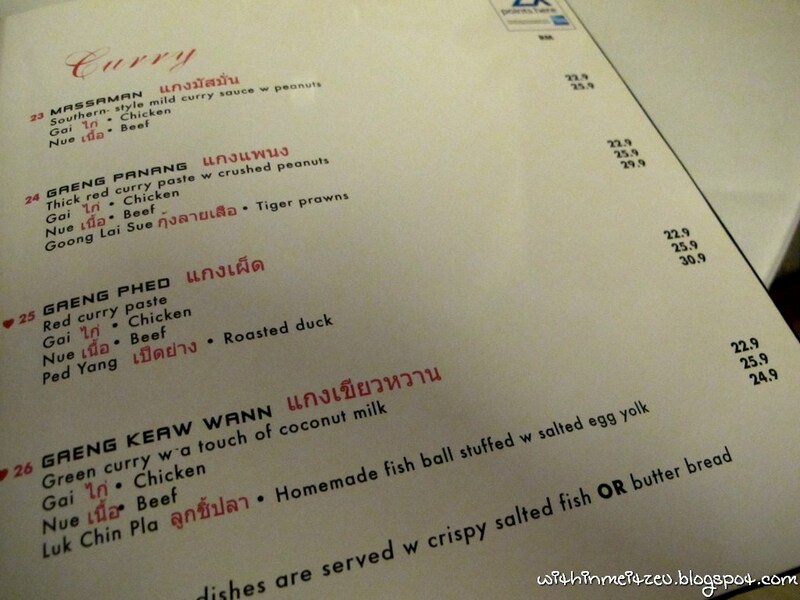 It was extremely HOT flavoured Tom Yum and made me mouth numb. So much of ingredients such as Oysters, Scallops, fresh prawn and more. Sad to say that I can't finish it because we ordered so much and if I could finish that Tom Yum, I WILL! Thai Sauce was HOT!! 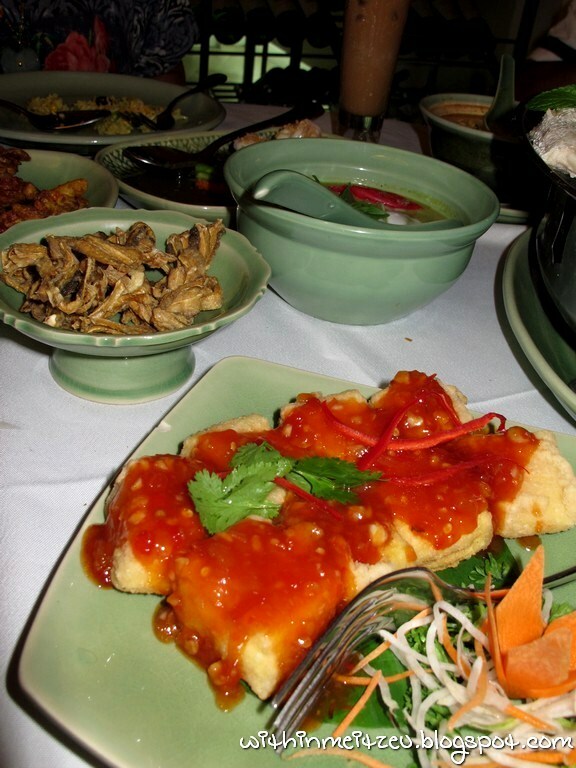 With the combination of soft Tofu, it was one spicy Tofu to have. WoW~ I did took away the Thai Sauce of the tofu and just took the tofu instead. We shared 3 coconuts among five of us. Its a refreshing Thai styled dessert after our royal dinner! 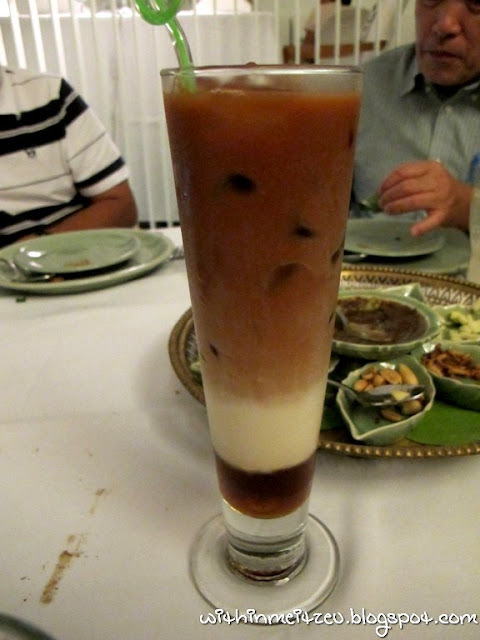 Our dessert combining Coconut Water with milk and filings, Jack fruits, chestnuts and more, it tasted simply refreshing. 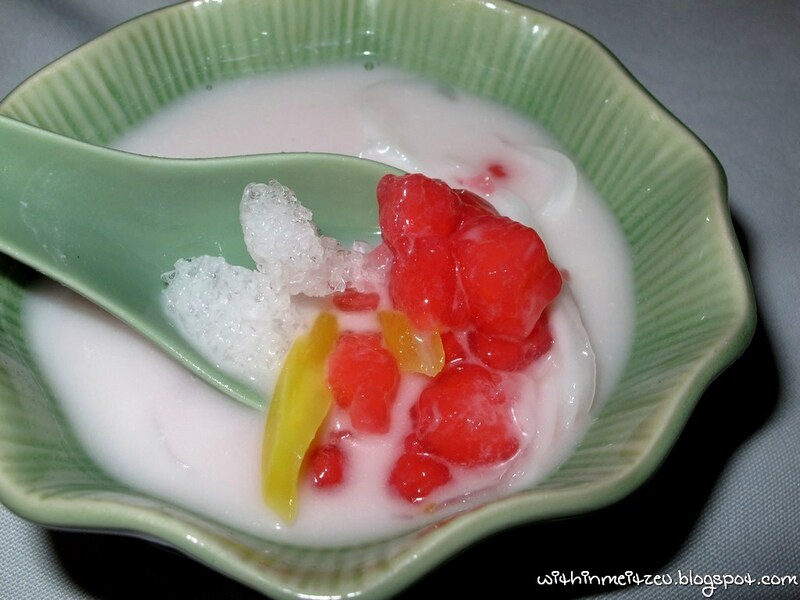 Not too sweet either, something special consisted in the dessert, the red one although look like watermelon, but it was not. hmm =/ I think it was the chestnut. One of the best selection for our dinner on our May 2011 trip (KL and Malacca). 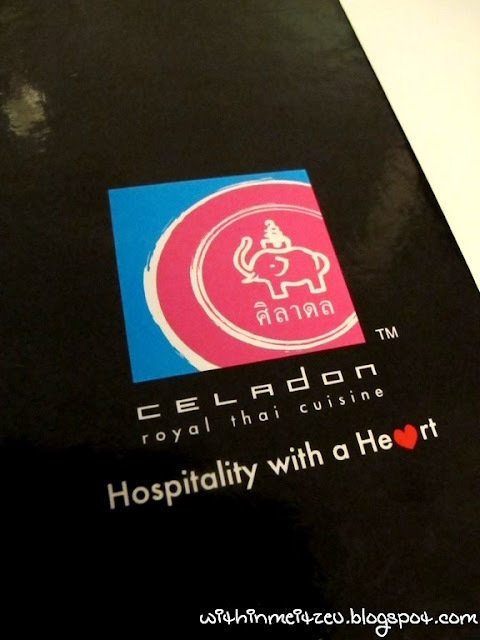 Didn't regret about it and Celadon Royal Thai Cuisine will be one my favourite in KL. Location : 4th Floor, Pavilion KL. 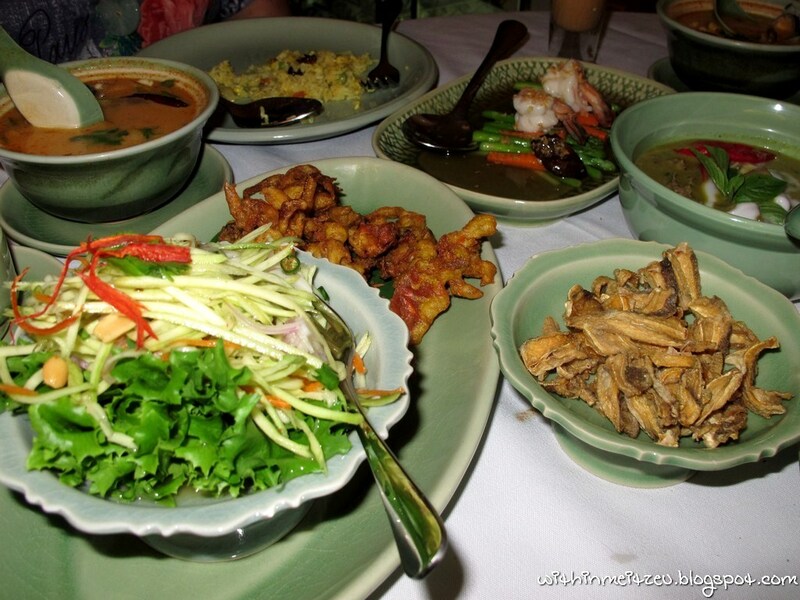 I am hungry looking at the food now! Pavillion sure got many high class place! Sawadee ka? I thought it was sawadikap... hahaa. AKi : KL banyak sedap! There are faces at the back of the seats! 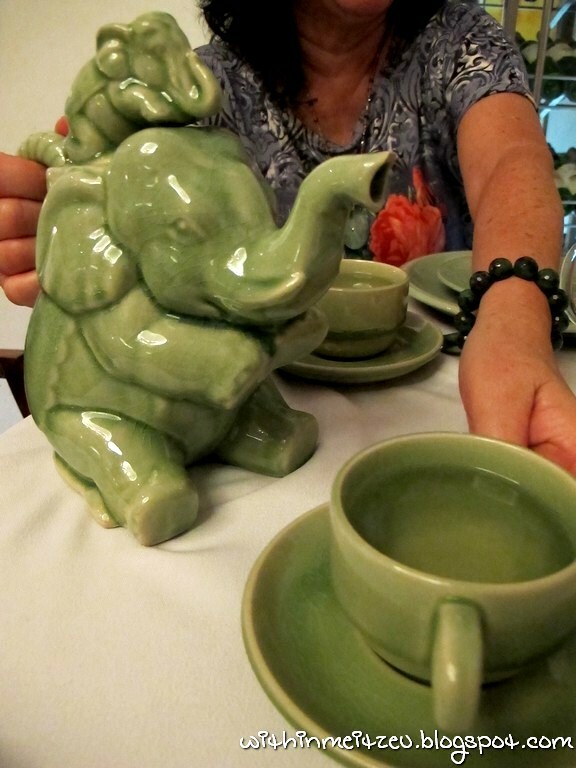 and the elephant teapot is so cool. love this place !